Two people and a dog were found dead Saturday inside a home in Fremont's Niles District, police said. Officers at 5:09 p.m. left to conduct a welfare check on the residents of a home in the 37800 block of Third Street near Niles Community Park. A family member called police earlier in the day because the person hadn't heard from their relatives in two days. Officers knocked on the door but no one answered. When officers looked through a window they believed they saw a dead woman and dead dog. 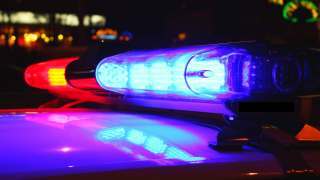 Police called firefighters who forced their way into the home where they indeed found a dead woman, a dead dog and a dead man. All appeared to have been dead for more than a day. A gun was located near one of the victims. Police said it is too early to say how the deaths occurred. Police believe no threat to the community exists. Anyone with information about the case is encouraged to call Fremont police at (510) 790-6800, extension 3. Tips can be sent anonymously by texting TIP FremontPD followed by the message to 888777.